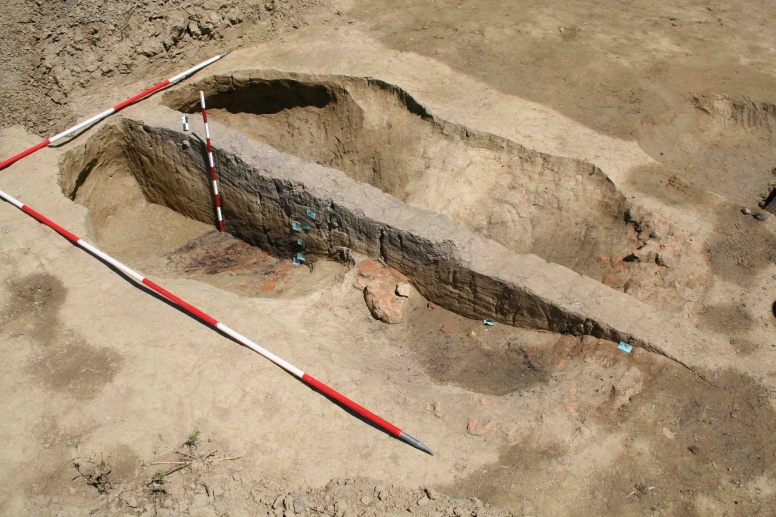 The archaeological sites of Pod Gucak and Pod Panje lie south of the centre of the village Torčec in the Koprivnica-Križevci County. The position Pod Panje refers to the ploughed fields south-east of the dried out bed of the Vratnec brook, while the Pod Gucak site lies on the opposite bank. Both sites were surveyed and field-walked on several occasions (2002), and based on the collected surface finds it was presumed that a settlement existed there during the High Middle Ages. In 2007, a test archaeological investigation was carried out. Several trenches were excavated at Pod Panje with the aim of locating the previously documented remains of a structure, but it was discovered that the site had been destroyed. At Pod Gucak, a total area of 289 m2 was excavated, which led to the discovery of a self-standing oven with an access space, as well as several archaeological features of an oval or circular plan. Although the function of these features has not been ascertained, almost all of them exhibited the same irregular ground plan, so they were interpreted as pits resulting from the extraction of loam for coating the walls of residential structures, which were subsequently often used as refuse pits. 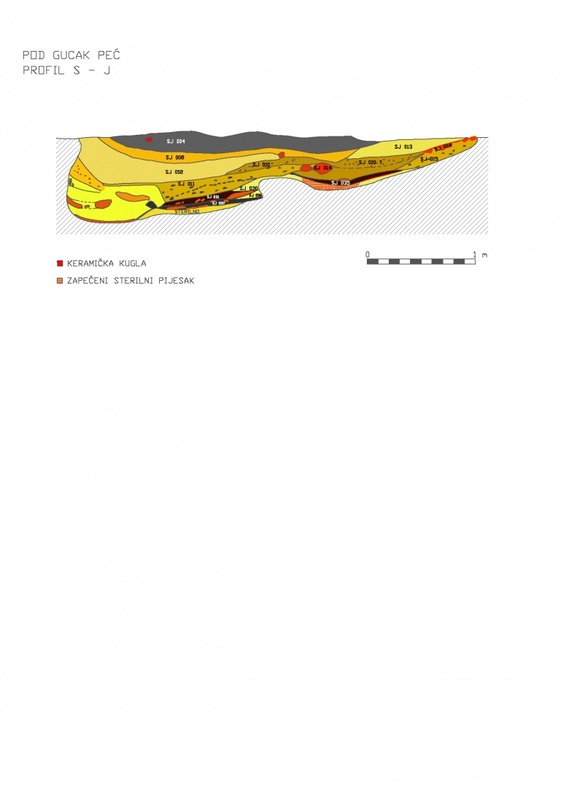 Thus, the amorphous pits from the Pod Gucak site can be interpreted in terms of the mentioned primary function, while later, during the 12th century, they were used as refuse pits. The fact that the dome of the oven was built by applying coats of clay, that is, a large quantity of clay was necessary to make it, leaves open the possibility that the primary function of these amorphous pits may have been connected with this raw material and its production. Abundant potsherds collected in the excavation suggest that the pottery was made exclusively on a fast-rotating wheel, and that it was richly and variously decorated. In the household, in addition to ordinary cooking pots and bowls, a type of vessel with handles/loops was used for cooking over an open fire. There were also ceramic spindle-whorls and a ceramic semi-product, which was supposed to become a spindle-whorl, as well as a number of ceramic spheres from the very end of the 11th, 12th and beginning of the 13th century. Sekelj Ivančan, T. 2010, Podravina u ranom srednjem vijeku, Rezultati arheoloških istraživanja ranosrednjovjekovnih nalazišta u Torčecu, Monographiae Instituti archaeologici 2, Zagreb. Sekelj Ivančan, T., Tkalčec, T., Šiljeg, B. 2003, Rezultati analize ranosrednjovjekovnih nalaza i nalazišta u okolici Torčeca, Prilozi Instituta za arheologiju u Zagrebu, vol. 20, 113-130.